Bear with me, this relates to the scourge of people tormenting gay teenages, which seems all the rage these days. “Cloud 9” is well worth seeing. It’s funny and very provocative. So do go to it. As I watched, I was entertained, but also found myself fuming with anger and frustration. “Cloud 9” deals with how people suffer as societal expectations are placed on them, by oppressive people, and they can’t be their true selves as a result. It made me think of the rash of suicides recently among gay teenagers who were tormented by bullies. A big part of the reason they killed themselves is they thought they couldn’t be who they really are, and couldn’t bear to live suppressed and rejected that way. Their tormentors are so blind, stupid and rigid they insist the world be just as they want it to be, and any variation ought to be killed off. Even to the point of killing people who don’t hew to their worldview. I’m sure some “religious” zealots feel vindicated that gay teenagers are commiting suicide. They must be so proud, until they burn in their own special hell, that is. I blogged about the subject the other day, but I really need to keep beating this drum. In the past couple of days, I’ve read news of a California teen who died several days after trying to hang himself after months of anti-gay bullying. 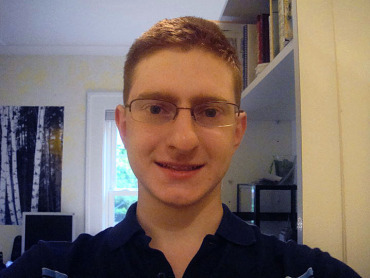 Rutgers student Tyler Clementi, who committed suicide after his roommate secretly videoed, and broadcast a sexual encounter Clementi had. And there was that awful news about the Rutgers student Tyler Clementi who killed himself after Dharun Ravi, his creepy, sleazy roommate, secretly videoed him having a romantic encounter with another guy and broadcast it over the Internet. We all have a responsibility to make sure LGBT teens are safe and secure. I contacted Outright Vermont, a great organization which helps LGBT teens, for advice on what average people can do about this. Executive Director Melissa Murray sent back a lot of helpful information. Talk about school with youth that you know. And ask them about their lives at school. Ask about bullying. Ask about harassment. Ask if they feel safe at school. Ask about school climate. Ask how you can help. Ask youth if they have ever thought about suicide. Asking about suicide shows that you are a source of support and that you care. Be an activist in your community; tell schools that they need to be doing serious work around ending bullying and harassment. Let them know that you expect consequences for youth who engage in such behavior. Hold schools accountable. Don’t just reach out to the LGBTQQ youth that you know. Lots of youth are closeted, some youth are perceived to be gay but actually aren’t, and youth that might be responsible for bullying and harassment can all use your help and support. 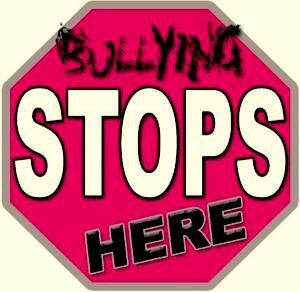 All youth need support for many reasons and bullying and harassment affect everyone. Interrupt homophobia and transphobic remarks that you hear on the street, in the store, in conversations with friends (i.e “that’s so gay”). Don’t support entertainers that use hate language. Familiarize yourself with the available resources. The Trevor Project (http://www.thetrevorproject.org/ycare) has a hotline specifically for LGBTQQ youth considering suicide. Outright Vermont (www.outrightvt.org) offers presentations in schools, helps to start and support GSAs in schools across Vermont, and offers social and support programming to reduce isolation and provide peer based support. The Vermont Human Rights Commission (http://hrc.vermont.gov/) can help youth and their parents/guardians hold schools accountable. The It Gets Better Project (http://www.youtube.com/user/itgetsbetterproject) has videos letting youth know that it does get better. For any LGBTQ kids reading, here’s one of the many “It Gets Better” videos that you MUST watc. All of it, including the sweet kicker at the end. This entry was posted on September 30, 2010 at 4:51 pm and is filed under Uncategorized. You can follow any responses to this entry through the RSS 2.0 feed. You can leave a response, or trackback from your own site.